The view of the great majority of climate scientists is that climate change is already under way and that already-released greenhouse gases will continue to contribute further to global warming throughout at least the next decade. They urge strong mitigating measures to cut the generation of greenhouse gases and thereby limit the serious negative effects which are predicted. Most governments are also committed in words and international agreements to measures attempting to minimise the degree and mitigate the effects of climate change. Some are committing themselves, in theory, to radical measures to reduce the output of greenhouse gases. The United Kingdom, for example, recently adopted targets for an 80% cut in UK carbon dioxide emissions (compared to 1990 levels) by 2050.5 Such large cuts are seen as essential to address the scale of the crisis. But there is a massive contradiction between government and business statements and their current investment plans. Governments across the world are encouraging industry to spend hundreds of billions of dollars to build hundreds of new coal-fired power stations in the coming years - notably in the USA, India and China. As fossil fuels are burned to produce energy, the carbon in the fuel reacts with oxygen to form carbon dioxide gas, CO2. Most of this is released into the atmosphere. Burning coal (which consists of 'free' carbon) produces more carbon dioxide per unit of energy generated than any other fossil fuel. Compared to gas (which consists mostly of the carbon-compound methane, CH4), coal releases 66% more CO2 per unit of energy generated. Coal mining releases methane into the atmosphere. Methane is twenty times more powerful than carbon dioxide as a greenhouse gas.17 In the USA in 2006, 26% of energy-related methane release was a direct result of the mining of buried coal strata.18 Around the world, about 7% of annual methane emissions originate from coal mining.19 This methane could be used to produce energy more efficiently than the coal itself.20 Methane can theoretically be captured from underground strata before opencast mining takes place, but this is rarely, if ever, done. It is easier to capture it in underground mines. Coal mining and the burning of coal for energy generation, cement manufacture and steel production have been among the major engines of global warming. According to the BP Statistical Review of World Energy21, published on 9 June 2010, 2009 was the first year since 2002 that coal was not the fastest growing fuel in the world. This was largely because of the slackening of demand from industrial consumers in the more heavily-industrialised OECD countries. Demand in the Asia Pacific region and the Middle East grew by 7.4%. China was responsible for 95% of that increase and was, overall, the largest producer and consumer of coal in the world, accounting for 46.9% of global coal consumption and producing 45.6% of global supplies during 2009, according to the BP report. 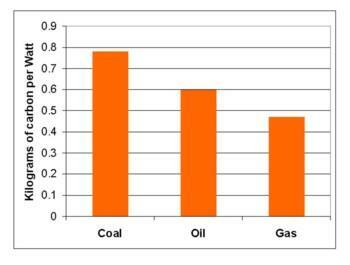 Other producing countries differ widely in the proportion of their coal that they export. Some pro-coal bodies, particularly in the USA, have sought to inhibit the imposition of measures to slow global warming.26 The coal, cement and steel industries lobbied hard to weaken international efforts to impose strict limits on carbon emissions at the Copenhagen Summit in 2009, and succeeded in persuading governments to opt for actions aimed at limiting average temperature rises to 2 degrees Celsius by 2100 - insufficiently strict, in the view of most climate scientists, to avoid some of the worst impacts of climate change. In attempting to present a clean image of coal27 its proponents in both industry and government argue that one specific technical fix will reduce the mineral's "carbon footprint". The prominent US political commentator, Joshua Frank, citing the work of Michael Economides (see above) in Truthout36, February 2010, concludes: "We ought to bag the idea that coal can be clean altogether. The public investment in clean-coal technology is a fraud and will only serve as a life-support system for an industry that must be phased out completely over the course of the next two decades. Putting billions of dollars behind a dead-end theory will not bring about the energy changes our country and climate so drastically need." 'Facing the greatest environmental threat of the century', knowledge.allianz.com/en/globalissues/climate_change/global_warming_basics/climate_threat.html Also see documentation produced by the Intergovernmental Panel on Climate Change at www.ipcc.ch/index.htm. Smith, K., 2009. Methane first, OK? New Scientist, June 27, 2009, 24-25. Thielemann, T., Cramer B., Schippers, A., 2003. Coalbed methane in the Ruhr Basin, Germany: a renewable energy resource? Organic Geochemistry, 35, 1537-1549.